Provide comfort for the family of Johnny Blanton with a meaningful gesture of sympathy. BROOKFIELD- Johnny Blanton passed away March 17,2019 in St. Francis Rehab and Nursing facility where he resided for two years. Prior to his residency at St. Francis he lived in Brookfield on Lincoln St. since 1963. He was born in Winchester,Kentucky the son of the late Isaac and Rosa Blanton. He was married for 60 years to Louise M Blanton the love of his life who passed away in 2012. He leaves 4 children, Rosemary Lozeau of New Ipswich N.H. and her husband William, Johnny Blanton Jr. of Brookfield MA, Patricia Duhamel of Charlton City MA and her husband David, and Darlene King of North Brookfield MA; 2 sisters Mary Tyler and Delores Christy of Winchester Kentucky. 5 grandchildren; 5 great grandchildren; 2 great great grandchildren; many nieces and nephews. He was predeceased by 3 siblings. He retired from Fort Devens in Ayer MA 25 years ago where he worked as a heavy equipment mechanic for over 20 years. Prior to working at Fort Devens he worked at several automotive establishments in Worcester as a service manager and auto mechanic. He was known as the "Rebel" by many of his friends and business associates. He was a Mason for 38 years and a member of the Hayden Lodge, a member of the American Legion in Spencer since 1956, a member of the DAV and a former commander. He served his country in the US Air Force and was a Korean War Veteran receiving 3 purple hearts. He was a strong advocate for all armed forces veterans. He was very proud of his southern heritage and roots and often revisited his home state of Kentucky. He enjoyed retirement and traveled a lot with his wife. He enjoyed listening to country music and 50's and 60's rock n roll music and was once an avid dancer. He enjoyed working on cars but he was most happy when he was surrounded by family, his children and his grandchildren. This wonderful family man will be sorely missed by all. Friends and family are invited to attend calling hours on Thursday, March 21,2019 from 5-7PM in Pillsbury Funeral Home 3 West Brookfield Rd. Brookfield. The funeral will be held on Friday at 11:00AM in the funeral home. Burial will follow with full military honors in Worcester County Memorial Park in Paxton. 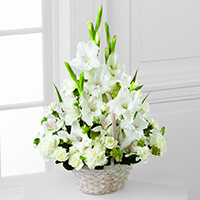 To send flowers in memory of Johnny G Blanton, please visit our Heartfelt Sympathies Store. We encourage you to share your most beloved memories of Johnny here, so that the family and other loved ones can always see it. You can upload cherished photographs, or share your favorite stories, and can even comment on those shared by others. W.D. Matthews Machinery Co. sent flowers to the family of Johnny G Blanton. To the entire Blanton family: All the members of Hayden Lodge send their sincerest condolences. Brother Johnny was a shining light in the fraternity, and a true representative of the fraternity. He will be missed by all. Godspeed Brother! Please accept our warmest condolences, we are deeply sorry for your loss. W.D. Matthews Machinery Co. purchased the The FTD Eternal Affection Arrangement for the family of Johnny Blanton.